Apple has recorded the biggest quarterly profit made by a company in history. On Wednesday 28th January 2015, the tech giant reported a net profit of $18bn (equivalent to £11.8bn), which is the biggest quarterly profit ever made by apublic company. The figures represented the 3 months leading up to 27th December 2014. 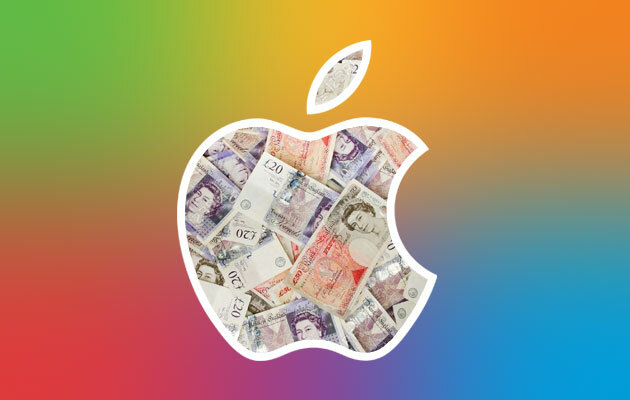 Every second, Apple makes a profit of £1,528. Apple has also revealed that its revenue grew to $74.6billion in 2014 – a 30% increase from the previous year. Furthermore, in the final quarter of 2015, the company’s sales grew by 29.5% compared to the previous year. After the US markets had closed, Apple shares values grew by more than 5%. The main reason behind Apple’s success in the last quarter is the outstanding number of iPhones sold in the run up to Christmas. Apple sold 74.5 million iPhones in just three months – which hugely surpassed expectations from analysts that they would sell 65 million. That’s the equivalent of 34,000 per hour! The demand for the new iPhone 6 definitely had a part to play, and helped push the iPhone’s gross profit margin from just 2% to an impressive 39.9%. Another factor contributing to Apple’s outstanding performance last year is its huge success in the up-and-coming Chinese market. In the last quarter, Apply managed to earn itself the title of the number 1 smartphone company in China. According to findings from leading research company Canalys, Apple is now the leading smartphone provider in China by units shipped in the last quarter of 2014. Thanks largely to its partnership with the world’s largest mobile network, China Mobile, Apple managed to beat popular smartphone companies Xiaomi, Samsung and Huawei to the top spot for the first time. This led to Apple’s sales in China being up 70% year-on-year in the quarter. Apple stated that now, 65% of its revenues come from outside the USA. However, Apple’s iPad sales actually fell by 22% to 21.4 million in 2014 compared to the year before. This may be due to the success of the iPhone 6 with its much larger screen. The US market for tablets is also becoming saturated, with the iPad facing lots of competition. However, Apple also said that overall since it started, it has sold over 1billion products which use its iOS operating system. In 2015, all eyes will be on the Apple Watch, which will be released in April. Analysts are interested to see whether the Watch will be able to shape its market, as the iPhone has done with smartphones and the iPad with tablets. However due to its high price and brand new market, many are unsure if it will enjoy the same kind of success as its predecessors.